and therefore a topic of considerable current interest. No chemical process exists that produces only the product desired. Therefore it is an important aim of the chemical industry to reduce the environmental effects of residues of chemical processes. to name just a few possibilities. If you want to know more about them, have a look at Protection-Integrated Environmental Protection and Waste Management. There you will find examples from the chemical industry where modification of existing manufacturing processes or the design of new processes has led to reduction of environmental pollution. Data from companies are given who operate world-wide reflecting a multi national situation. 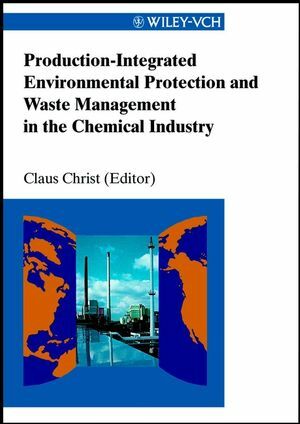 Claus Christ is the editor of Production-Integrated Environmental Protection and Waste Management in the Chemical Industry, published by Wiley.